Your medical documents, x-rays, and other personal information should be	kept safe from prying eyes and never left in the open. If you own a medical	office and have copious medical documents that you no longer need or have	recently switched over to digital records, our Chattanooga and Knoxville	document destruction team at River City Shredding can help! Our experienced	and licensed team members are well-versed in the most appropriate ways	of protecting your privacy and often provide on-site services for your	convenience and peace of mind. 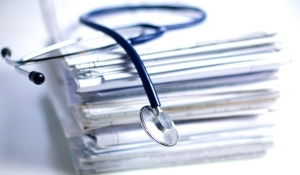 Questions regarding our medical record disposal process? Speak with one	of our seasoned technicians by reaching out to our primary office at (423) 805-6070	!